Lions and parrots and ant-eaters, oh my. Hundreds of students learned how much food it takes to run an animal park, how long bears hibernate and how much dedication it takes to be a zookeeper as part of the recent World of Work Week organized by Douglas County Partners for Student Success. 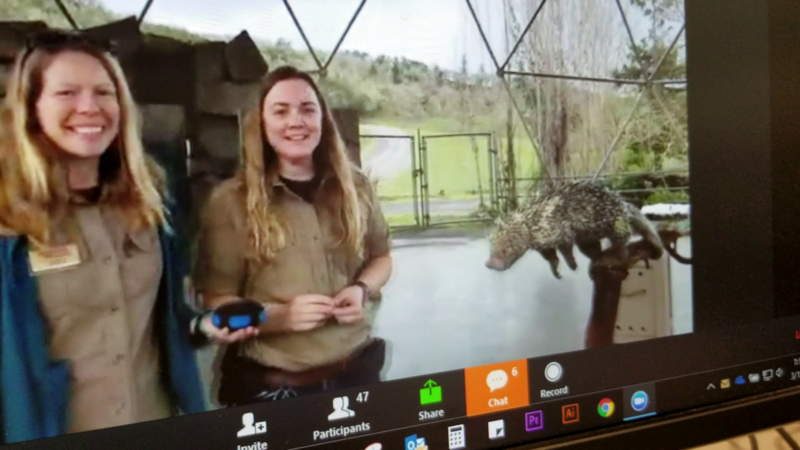 Students learned about the inner workings of Wildlife Safari in Winston from the comfort of their own classrooms through the virtual tour session offered through Oregon Connections, a web-based tool that connects educators and students to industry professionals. “I decided to join the WOW Week because at Yoncalla Elementary one of our goals is to help students find their future goals and what they are interested in. This was a great opportunity to expose them to what could be their future,” said second-grade teacher Rachel Burrows. Burrows signed her class up for the Wildlife Safari tour as well as the tour offered by Roseburg-based Con-Vey Keystone, “Using Innovation, Engineering, & Robots to Build Large Machinery,” led by Con-Vey plant manager Travis Pritchett. Students were able to learn about the company’s background and various types of careers that exist at the business that engineers and manufactures custom machinery and innovative solutions for the wood products manufacturing industry. Other sessions offered throughout the week of March 11 included “Career Navigation 101” and “What Does College Debt Really Mean?” Students had the opportunity to ask tour leaders direct questions or submit their questions to a moderator. In all, 67 classrooms totaling 1,180 students participated in Douglas County WOW Week, including 15 local classrooms. An example of the far-reaching capabilities is the Wildlife Safari tour, which drew 47 classrooms from across five states. 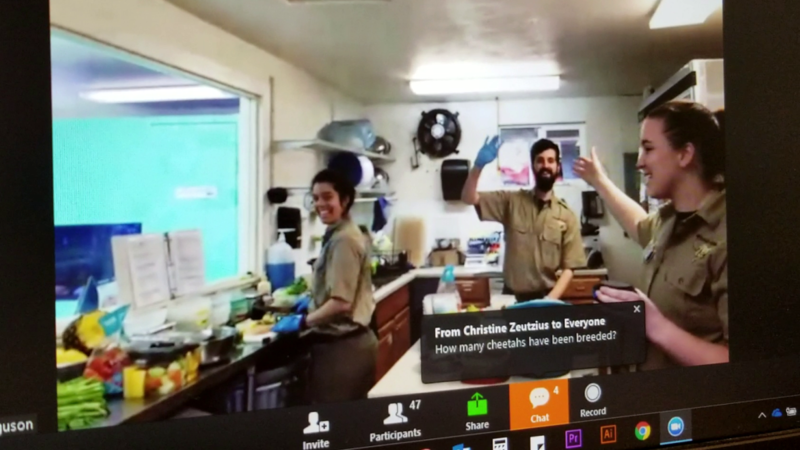 The goal behind Oregon Connections virtual tours is to make it easier for larger groups of students to explore a variety of careers and industries. It’s one of the many tools being promoted by Bright Futures Umpqua, an initiative of Douglas County Partners for Student Success, to expand career-connected learning experiences for students. “Through Oregon Connections tours, in-person industry tours and other partnerships between industry leaders and educators, we can help more students find meaningful career and post-secondary education pathways,” said Gwen Soderberg-Chase, director of DCPSS. Those interested in offering tours or bringing tours to their classrooms can create a free account at stemoregon.org/connections. Industry professionals can create profiles and offer tours that fit their schedules. Stay tuned for more virtual tour opportunities!